2018 was one heck of a year for me, both personally and professionally. Most of my time outside of TouchArcade has gone to wrangling a new dog that we rescued this year which has been an interesting experience to say the least. I’ve always been more of a cat person, and dogs I’ve had in my life we always got as puppies, so you I’ve never needed to unravel the mysteries of behavioral patterns and problems that likely came from growing up in what we can only assume was an abusive household. It’s been surprising how rewarding earning a scared dog’s trust is turning out to be. Also, in the photo, Bruno is on the left, and our slightly older dog, Steve, is on the right. They’re both smooth haired red dachshunds that are related to each other. Steve is Bruno’s uncle, which is pretty neat. I officially had a mid-life crisis, buying a 2018 Miata when Mazda was practically giving them away ahead of the 2019 mid-model refresh. It’s weird driving a car that actually is fun to drive, versus my positively ancient Prius which I kept as a daily driver. Amusingly enough, I bought this car quite literally days before Apple killed the App Store affiliate program, which is yet another decision I made which turned out to be hilariously poorly timed through no fault of my own. At least I got really, really good promotional financing terms? As mentioned in our best games of 2018 post, things on the overall health of TouchArcade front really couldn’t be worse. We’re only a few months away from it being ten years since my first story on TouchArcade was published, and you won’t find anyone who will say I haven’t fought the good fight to keep this place around. Looking back on my first few stories I wrote for TouchArcade is a real blast from the past, as believe it or not, that was a time where we were super concerned that TouchArcade might not come out on top with how much competition there was in the iPhone game editorial space. I think that’s why I’ve been so hopelessly dedicated to fixing TouchArcade’s business model, as I’ve been on the front lines of fighting so many battles through the last decade. I can’t just give up now, although I do often find myself wondering where I’d be if I had taken any of the many random mobile game industry job offers that have came my way over the years. But, as a indie punk rock kind of dude, moving to the bay area to work for some huge company has always felt like selling out, and still does. After all, in the words of the Notorious B.I.G., mo’ money, mo’ problems- Except when it comes to the TouchArcade Patreon, in that case, mo’ money would very much not be a problem. Without a serious surge in support I’m not sure how much of a runway we really have left. Apple killing the affiliate program really took us by surprise, likely dealing the final deathblow to the site. Another less than awesome thing this year was when Carter left us to go get a real job with luxurious things like… health insurance. 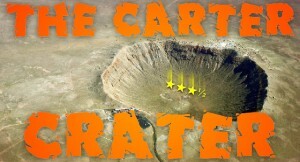 Mikhail has done a fabulous job of filling Carter’s shoes when it comes to posting news, but is has been supremely difficult to find a true Carter replacement. Getting new writers onboard isn’t that difficult, but finding people who want to actually be a part of the TouchArcade team on a deeper level than just writing some stuff and getting paid for it is easier said than done. It’s hard to really articulate, but if you’re a regular TouchArcade reader you probably know what I’m talking about. 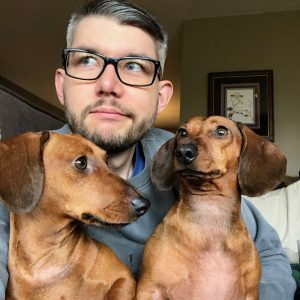 Carter had a unique voice, and was one of us, appearing on Twitch streams, podcasts, and everywhere else. A regular pillar of the proverbial community, if you will. I just hope the PR company he works for now realizes what a f*ckin’ awesome dude they’ve got. In more positive news, 2018 has been a super rad year for the growth and maturation mobile games in a general sense. We saw a huge surge in mobile esports, and I was lucky enough to be invited to an awful lot of mobile esports events. A few years ago the idea of a mobile game being played as an esport would likely be the punchline of some joke, but we’re actually getting there to where it’s a real thing. While there’s a lot of companies out there doing really cool stuff, I think I’m the most excited for the future of Guns of Boom (Free) as an esport. They flew me out for their first full-blown championship event, and Game Insight is so close to cracking the code to having all the ingredients to have a mainstream esports success on their hand. Their secret sauce all comes down to the augmented reality spectator mode. The biggest problem with all esports is that in order for it to be an actual esport people care about there has to be a strong spectator component, and following along with a first person shooter as someone watching a stream with multiple players is stupidly difficult. I find things like The Overwatch League to be borderline unwatchable, as they primarily just rapidly flip between the first person view of different players. Imagine how absurd watching football (American football or soccer) would be if the way you watched it was by someone flipping in between the first person view of players. Sure, the novelty might be cool initially, but no one would prefer to watch it that way. In Guns of Boom, you just load up the AR viewer and you can see the whole map, where all the players are, and you can move around to see other angles of the action. It was real, real weird being at the actual championship event, able to watch the players live, and having the in-app AR experience be better. I know it’s easy to look at the numbers of people watching the streams of these events and consider them failures compared to “real" esports, but I remain ultra bullish because viewer numbers have really skewed what people think of having a huge audience. You might look at the 5,000ish people watching Guns of Boom (or any other mobile esport) and be like, “Pfft, Ninja has 20x more people watching him eat Doritos right now." However, consider venues like the Chicago Theater, which is one of the premiere venues in my area, only seats 3,600. In real-world terms, the Guns of Boom championship would be a sold out Chicago Theater plus over a thousand people watching on a jumbotron standing in the street outside. I don’t know how anyone would ever suggest something like that would be a failure, or anything short of super impressive. Arena of Valor (Free), PUBG Mobile (Free), Summoners War (Free), Hearthstone (Free), and many other games are also doing super cool stuff in the esports space, so it’s not just Guns of Boom I’m excited for. Hopefully I keep getting invited to these events, as covering them is a ton of fun. Overall, 2018 feels like it was the year where “mobile esports" went from a weird buzz word (buzz phrase?) we see in press releases and actually is starting to mean something. That’s really cool. My favorite trend in mobile this year is games like Fortnite normalizing totally cross-platform gameplay. The App Store has seen a bunch of really good AAA ports (like Civilization VI (Free) last year and Tropico ($11.99) this year, among many others) but they all come along with the “baggage" of just being a mobile game that’s released long after the “real" version on PC (or other platforms, in the case of other ports). In the case of Fortnite, it’s a complete cross-platform game that you keep all your friends, progress, purchases, and everything else. Heck, if you’re crazy enough to want to be matched with PC players on mobile, you can totally do that too. I don’t think many people appreciate what a complete game changer the precedent that this sets is. Fortnite has been super popular with kids, who now are growing up thinking that this kind of feature is just a normal thing all games should have. Particularly as mobile devices get faster year over year, I really don’t think we’re that far away from the line being blurred even further between what is a mobile game, as games just get released on everything and it’s up to you where you play them. Another good example of this is Old School RuneScape (Free), which finally delivers on what we’ve been looking for in an MMORPG for the longest time: The ability to just log in and play on anything. As far as I know Jagex hasn’t released any numbers yet on the number of new players the mobile version has brought in, but it would not surprise me if it was tons, and once that news starts spreading this is going to be another normal thing for MMORPG developers to do. Why would you want to limit where your players can play your game? Fighting against this trend just doesn’t make sense for developers, although it will be interesting to see where the platforms like the App Store and Google Play end up fitting into the equation. I think the only thing that’s going to slow (or stop) this progress is the gatekeepers of the platforms demanding their 30% tax. I don’t think many folks realize just how disruptive Epic starting their own mobile app store is going to be for distributing Fortnite to Android. Back in the day, games lived or died based on their featuring on the App Store or Google Play, but (particularly with the redesigned App Store) the impact that these features have are greatly diminished. I think we’re in for some seriously interesting times ahead, particularly with cases like Apple v. Pepper brewing. If Apple fails to maintain a monopoly over app distribution with the App Store, it’s entirely possible it could be a massive win for consumers, and potentially even sites like TouchArcade as maybe a third party app store will pop up that’s not only gamer-centric without all the garbage of the App Store but also has an affiliate program we can take advantage of. From a developer perspective, if featuring doesn’t do much, and you can save any of that 30% cut, why wouldn’t you distribute your game somewhere else? As exciting as that all is, nearly ten years into covering mobile, I’m more concerned than ever on what’s going to happen with any sort of push for the historical preservation of games on the platform. I got a lot of heat on Twitter for comparing writing about the removal of the Infinity Blade to writing my father’s obituary, but I stand by that. While obviously on a totally different magnitude, it was a completely baffling event that I never expected to be in a position to need to write about. It’s still hard to put into words how unbelievably messed up it is that the Infinity Blade games are just …gone. Randomly pulling them from sale on the App Store is the strangest way Epic could have handled that too, as I’m still at a loss as to why they didn’t make some announcement that was something along the lines of, “Hey we’re not supporting these games anymore, we’re making them free so everyone can grab them, but when they break in a future iOS update that’s it." I even reached out to Epic to see if they were interested in me trying to raise funds to buy the rights for the games off of them for another studio to maintain, but of course, that went nowhere. Looking back at the early days of the App Store, I remember the brutal war developers fought with the jailbreak pirates. We’ve published a bunch of stories on this over the years, but it was totally normal for developers selling paid games to see 90% or more of their players just stealing their games instead. Things got even worse when developers built games with online server infrastructure requirements, as in the case of games like Battle Dungeon, the developers pulled the game because pirates were causing such high server load they couldn’t keep afford to keep the servers up with sales from legit players. I really think we’re pretty close to the Black Mirror-style twist of these App Store pirates actually being the saviors of the history of iOS gaming with these huge third party repositories of stolen games. If back in the early 2010’s you would’ve told me, “Yeah you’re all mad at these pirates now, but Apple will bungle the App Store so hard that if you want to play an old game, this will be the only way," I’d probably have thought you had a screw loose. But, that’s sort of the reality with the Infinity Blade games right now if you didn’t already have them purchased in your iTunes account. From a community perspective, it’s been interesting watching our forums community migrate over to our Discord server. Discord (Free) is turning into the new normal thing for everyone to be on, which I couldn’t be more excited for. I’m an old school chat guy, with IRC channels I’ve been a member of for quite literally decades. (If you’re looking for a modern IRC solution, check out IRC Cloud.) It’s real cool following along with what people are talking about in real time, and this year our Discord server saw a massive explosion of popularity surrounding the Fortnite invite code thing where you needed to get a code to unlock the ability to play the game on your iPhone. We had thousands of new people join, and while most of them bugged out after they got their code, a few have stuck around to grow the community even more. I’m @Eli#1337 on there, if you ever want to hit me up. I try to be reasonably responsive. I think my favorite piece of mobile drama this year was the announcement of Diablo on mobile. We’ve been on the sidelines for years now scratching our heads while we watch “real" game sites just continually dump on mobile, which really has just brainwashed people into thinking mobile games are garbage. Back in 2015, IGN “jokingly" said mobile is for babies, but honestly, it just plays directly into this narrative that all mobile games are bad and the people who like them are idiots. While that may have been a “joke," it certainly wasn’t a joke to the people who watch things like that. This reached its climax when we saw the wholesale rejection of Diablo Immortal, despite it being a pretty cool game. I argued in an editorial that Blizzard’s main mistake was not letting people think it was a PC game that also happened to be on mobile like Hearthstone, and the response to said article was hilarious: A lot of Real Gamers getting even more mad, and every developer who read it being like, “Shhhhhhh…"
I’m willing to commit to the incredibly brave prediction that Diablo Immortal will be the most popular and most successful Diablo title of all time. The scale that mobile allows for is simply ridiculous, and really, the game has to be fun to play without paying any money. That’s how the economy of free to play game work. The Real Gamers will dump all over it, as will the general games media, but everyone has a smartphone in their pocket, and they’ll all check out this game. Many will stick with it, I’m not sure how Real Gamers will mentally cope with that, but, I suppose we’ll just have to wait and see. Speaking of bonafide Real Games, I’m still sort of figuring out what to do with Nintendo Switch coverage around here. We’ve got the daily SwitchArcade feature, but whether or not to delve deeper into the Switch mines is a topic of constant internal debate. It still blows me away just how successfully (whether inadvertently or not) Nintendo delivered on the promise it seemed like early iPhone gaming was starting to make. When Apple added the ability to do video out through the iPhone dock connector and we saw the announcement of things like the GameDock, I was certain this was the future of mobile. Why bother having anything else when you can just play games on your iPhone, then if you want a “full" experience, just plug it into your TV? Unfortunately, right around the same time developers were seriously considering that as a reality, free to play took over and Apple seemed to stop caring about games (even less than they did before). Years later, we have that with the Switch, and it has turned into my favorite game console of all time. Regardless, it has been real neat having so much Switch coverage on the site, particularly as the torch for the SwitchArcade series has been passed from Carter to Phil, and now Shaun who is doing an awesome job. The truly wild thing about the Switch is that there’s no reason Apple couldn’t have done this. If you strip the Switch down to its essence, it’s an Android tablet with some controllers that attach to it. Every time I play a game like Zelda on my Switch, it’s inevitable that I find myself thinking, “All this thing is, is a tablet. My iPad is more powerful than this thing. There’s no reason this game couldn’t similarly be running on the ARM Apple Ax series processor." Well, that is if we disregard the primary difference between the Switch and iOS device: Nintendo’s vested interest in maintaining quality and value in its software versus, well, the App Store. The ebb and flow of this industry, when you’ve been in it as long as we have, it’s pretty ridiculous. It wasn’t that long ago that we were on our podcast wondering if Apple wasn’t going to kill Nintendo as early mobile games were exploding in popularity, drawing everyone away from their Nintendo DS. I would love to see a parallel universe where Apple had done, literally anything, to act closer to a game platform holder like Microsoft, Sony, or Nintendo. Would the Switch exist, and if it did, would anyone care? Maybe, maybe not. But, I guess if we want to get into debating parallel universes there’s probably more interesting ones than that. Looking forward to 2019, I think what I’m most excited for is seeing what happens in emerging markets as more and more people who have never owned a computer or played a video game become smartphone owners. 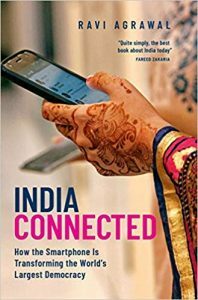 I’m particularly captivated by what it’s doing to countries like India, as the most fascinating book I read this year was India Connected: How the Smartphone is Transforming the World’s Largest Democracy. The arrival of mobile technology to these markets is nothing short of monumental, particularly when you consider that modern smartphones are also empowering people who can’t even read to interact with technology using voice commands and having their smartphone talk back. It feels like we’re only a few years away from practically every person on the planet not only being connected, but having a device in their pocket that’s ultimately connected to the sum of all human knowledge (and Candy Crush). What will these people do with this connectivity? What games are they going to end up playing? What will be the first true global mega-hit that everyone from someone with the lowest of low-end phones in Africa will be playing along side someone with a brand new iPhone 11 in the United States? I can’t wait to find out. It feels cliche to say mobile devices have changed everything, but I’d argue we ain’t seen nothin’ yet. I just hope TouchArcade survives long enough so I can cover whatever happens, or at minimum, we can make it to March 15th so I can officially say I’ve been writing about mobile games for a decade. Anyway, I’ll close this out with a seriously heartfelt thank you to everyone in the TouchArcade community that have stuck with us for this long. I know I’m not great about email, and fleeing Twitter for a tiny Mastodon presence has led to me interacting with our community a bit less than I have in the past, but just know that I appreciate everyone who takes the time out of their day to read the things I (and the rest of the team) write around here. We may have had our disagreements on pay models, review scores, and other dumb things in the past, but if you’re reading TouchArcade we’re all on the same team of people who really care about mobile gaming. If you haven’t yet, swing by our Discord and let’s play some games together.